So we back tracked and crossed over the lock to Fish Island to check out the Counter Cafe (the same folk that run the Container Cafe) at Stour Space. 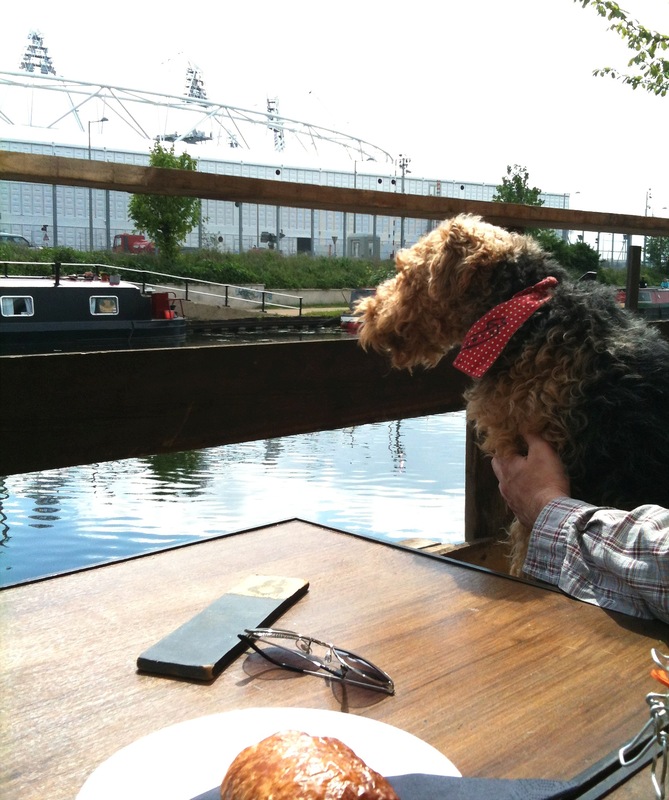 They’ve opened up a lovely outside area over looking the canal with views of the Olympic Stadium, and, music to our ears, they allow well behaved dogs, hurrah! We arrived about 11am and soon after it really started filling up for the amazing looking breakfasts, so we advise getting there early for a prime spot. We had our usual delicious coffee and croissant but vowed to go back soon with Edwyn to sample the more hearty offerings. We’re always so chuffed to find a new dog friendly venue! Stour Space is also an exhibition space, well worth checking out. 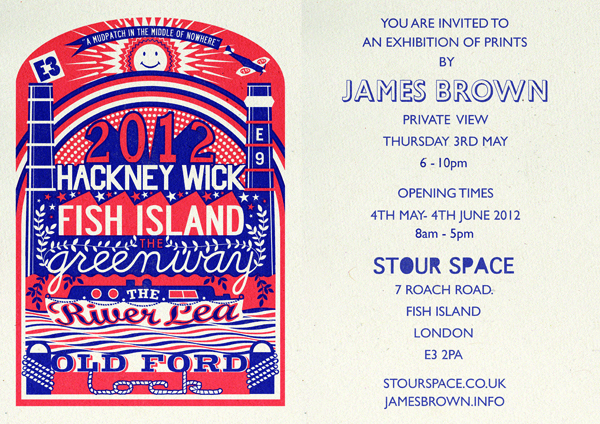 James Brown has an exhibition of his prints on at the moment.